This set contains four (4) core subjects for Grade 12: History, Language Arts, Math, and Science. This Core Set is not available at the AOP website. If you are looking for the Complete 5-Subject Set, which includes Bible, please see the "For more information" link below. This set contains four (4) core subjects for Grade 11: History, Language Arts, Math, and Science. This set contains four (4) core subjects for Grade 10: History, Language Arts, Math, and Science. This set contains four (4) core subjects for Grade 9: History, Language Arts, Math, and Science. This set contains four (4) core subjects for Grade 8: History, Language Arts, Math, and Science. This set contains four (4) core subjects for Grade 7: History, Language Arts, Math, and Science. This set contains four (4) core subjects for Grade 6: History, Language Arts, Math, and Science. This set contains four (4) core subjects for Grade 5: History, Language Arts, Math, and Science. This set contains four (4) core subjects for Grade 4: History, Language Arts, Math, and Science. This set contains four (4) core subjects for Grade 3: History, Language Arts, Math, and Science. Inspire future entrepreneurs with this one-semester overview of business management. 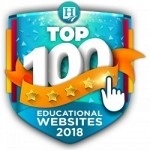 This elective for homeschool students in grades 9-12 uses interactive, computer-based lessons, tests, quizzes, and multimedia to cover topics like the creation, development, and organization of a small business and the challenges of being one s own boss. The Switched-On Schoolhouse 3rd Grade 5-Subject Set contains all core subjects Bible, History & Geography, Language Arts, Math, and Science for a whole year. SOS provides the structure of textbook learning in a modern, computer-based format with multimedia-rich lessons that infuse excitement into your child s learning process! Switched-On Schoolhouse 4th Grade 5-Subject Set is a mastery-based complete Alpha Omega curriculum which offers academic instruction in five core content areas Bible, Language Arts, History & Geography, Science, and Math. Rich in multimedia features, this popular computer-based program is sure to please your fourth grade child! Packed with engaging multimedia features, Switched-On Schoolhouse 5th Grade 5-Subject Set is sure to please your student. Five core Alpha Omega curriculum areas Bible, Language Arts, History & Geography, Science, and Math offered in a fun, computer-based learning environment, provide fifth grade students with just what they need to succeed. The Switched-On Schoolhouse 6th Grade 5-Subject Set contains all core subjects Bible, History & Geography, Language Arts, Math, and Science for a whole year. SOS provides the structure of textbook learning in a modern, computer-based format with multimedia-rich lessons that infuse excitement into your child s learning process! Switched-On Schoolhouse 7th Grade 5-Subject Set is a mastery-based complete Alpha Omega curriculum which offers academic instruction in five core content areas Bible, language arts, science, math, and history and geography. Rich in multimedia features, this popular computer-based program is sure to please your seventh grade child! Packed with engaging multimedia features, Switched-On Schoolhouse 8th Grade 5-Subject Set is sure to please your student. Five core Alpha Omega curriculum areas Bible, math, science, language arts, and history and geography offered in a fun, computer-based learning environment, provide eighth grade students with just what they need to succeed. The Switched-On Schoolhouse 9th Grade 5-Subject Set contains all core subjects Bible, History & Geography, Language Arts, Math, and Science for a whole year. SOS provides the structure of textbook learning in a modern, computer-based format with multimedia-rich lessons that infuse excitement into your child s learning process! Jump start your child's future with Switched-On Schoolhouse College Planner for grades 9-12. This valuable, practical, computer-based Alpha Omega curriculum includes one semester of topics like selecting a college, completing applications, applying for financial aid, interviews, and more. Its the perfect five-unit course for your soon-to-be graduate! Includes quizzes and tests. Switched-On Schoolhouse 10th Grade 5-Subject Set is a mastery-based complete Alpha Omega curriculum which offers academic instruction in five core content areas Bible, Language Arts, History & Geography, Science, and Math. Rich in multimedia features, this popular computer-based program is sure to please your tenth grade child! Packed with engaging multimedia features, Switched-On Schoolhouse 11th Grade 5-Subject Set is sure to please your student. Five core Alpha Omega curriculum areas Bible, Language Arts, History & Geography, Science, and Math offered in a fun, computer-based learning environment, provide eleventh grade students with just what they need to succeed. The Switched-On Schoolhouse 12th Grade 5-Subject Set contains all core subjects Bible, science, math, language arts, and history and geography for a whole year. SOS provides the structure of textbook learning in a modern, computer-based format with multimedia-rich lessons that infuse excitement into your child s learning process! Switched-On Schoolhouse 3rd Grade History & Geography - Explore the United States as never before with the fully updated SOS 3rd Grade History and Geography. With an easy-to-follow, student-directed learning format, this course lets students set their own pace while studying mountains, rivers, fields, plants, animals, and people in each U.S. region. Plus, map reading skills and age-appropriate vocabulary add to the understanding of what makes each area in our country unique. Switched-On Schoolhouse 3rd Grade Language Arts is a fun-filled, computer-based course which teaches basic grammar and sentence structure rules. Your child will receive an in-depth look at reading, spelling, and parts of speech with this year-long Alpha Omega curriculum. Engaging lessons have exciting multimedia tools like video clips and games! Includes quizzes and tests. Give your child a fun-filled introduction to science with Switched-On Schoolhouse 3rd Grade Science! Using this interactive, computer-based course, your child will receive an in-depth look at plants, animals, body systems, matter, sounds, and more. Plus, each lesson in this Alpha Omega curriculum has cutting-edge, interactive learning games to build knowledge. Includes quizzes and tests. Switching your child to the computer-based Switched-On Schoolhouse (SOS) curriculum? Not sure what grade to use? No problem. Eliminate learning gaps and ensure proper grade level placement with the Switched-On Schoolhouse Placement Tests. Includes tests for SOS Bible, Language Arts, History & Geography, Math, and Science in grades 3-12. Teach your child grammar rules with captivating stories in Switched-On Schoolhouse 4th Grade Language Arts! This fun, computer-based Alpha Omega curriculum will teach your child about literature genres, poetry, composition skills, and parts of speech. Included are a variety of writing assignments like composing invitations, essays, and stories. Includes quizzes and tests. Switched-On Schoolhouse 4th Grade Science is a fun, computer-based course filled with entertaining science lessons! Your child will love learning about plants, animals, electricity, water, and weather with this multimedia-enriched Alpha Omega curriculum. Easy-to-follow experiments are also included in this comprehensive, year-long course. Includes quizzes and tests. A newly revised course for grades 4-6, SOS Health Quest introduces students to the concepts of good health, why it's important, and what students should do in order to achieve good health. Fully updated units cover the parts of the body, feelings, emotions, nutrition, fitness, play, and stewardship in lessons that are specifically targeted fro upper-elementary students. Looking for a fun math course? Try Switched-On Schoolhouse 5th Grade Math! This one-of-a-kind, computer-based Alpha Omega curriculum teaches solid math concepts with interactive, encouraging lessons. Reviewing basic skills like multiplication and division, this one-year course also covers fractions, calculators, place value, estimation, and more. Includes quizzes and tests. Switched-On Schoolhouse 6th Grade Language Arts will give your child a complete review of grammar concepts using an interactive, computer-based format! Topics covered in this one-year Alpha Omega curriculum are grammar elements and usage, reading and writing skills, literary forms, and more. Writing projects are included to build understanding. Includes quizzes and tests. Try an interactive, computer-based math course! Switched-On Schoolhouse 6th Grade Math will teach your child basic math skills with dynamic, multimedia-enriched lessons. Imagine your child learning fractions, geometry, percents, and measurements with Alpha Omega curriculum tools like math learning games, video clips, and easy-to-follow lessons! Includes quizzes and tests. Switched-On Schoolhouse 7th Grade History & Geography is an interactive, computer-based course with engaging, multimedia-enriched lessons. This comprehensive, one-year Alpha Omega curriculum has a variety of diverse topics including anthropology, sociology, economics, political science, and U.S. geography. History projects are included. Includes quizzes and tests. Switched-On Schoolhouse 7th Grade Language Arts gives your child a wonderful review of language concepts, usage, and structure. This one-year Alpha Omega curriculum has computer-based lessons with exciting multimedia tools like videos made to enrich student learning. Additional topics included are nonfiction, communication, and pronunciation. Includes quizzes and tests. Switched-On Schoolhouse 7th Grade Math is an interactive, computer-based math course that introduces basic algebra and geometry concepts. Your child will study shapes, formulas, statistics, graphs, and review basic operations like multiplying and dividing. Math games and videos with clear explanations are included in this Alpha Omega curriculum to help learning. Includes quizzes and tests. Switched-On Schoolhouse 7th Grade Science is a cutting-edge, computer-based course created to capture your child's interest. Multimedia-enriched lessons in this Alpha Omega curriculum give an in-depth study of earth science and human anatomy. Your child will also study additional topics such as the atmosphere, weather, and climate, complete with experiments. Includes quizzes and tests. Refresh your student's understanding of basic science with Switched-On Schoolhouse General Science III! Offering a comprehensive overview, this computer-based, ten-unit elective for grades 9-12 includes quizzes and tests and lets students tap deeper into the world of physics and body health with interactive lessons. This Alpha Omega curriculum covers additional topics like oceanography, astronomy, and the future of science. Fun-to-learn lessons also include multimedia tools, experiments, colorful graphics, and more! Here's the perfect, practical course to add to your homeschool curriculum Switched-On Schoolhouse Family & Consumer Science for grades 7-12! This invaluable, one-year course covers relevant topics such as housekeeping, cooking, clothing, decorating, finances, child care, and more. This computer-based Alpha Omega curriculum includes a Christian perspective. Includes quizzes and tests. Discover great American authors with Switched-On Schoolhouse American Literature for 7th-12th grade! This fun, computer-based Alpha Omega curriculum, made for one semester, covers five diverse periods of American Literature including Early American Literature, the Romantic Period, and the Modern Age. Authors include Whitman, Twain, and Dickinson. Includes quizzes and tests. Read acclaimed British authors with Switched-On Schoolhouse British Literature for 7th-12th grade! This in-depth, computer-based Alpha Omega curriculum, made for one semester, covers five diverse periods of British Literature including the Middle Ages, the Early Renaissance, and the Romanic Era. Authors include Shakespeare, Tennyson, and Keats. Includes quizzes and tests. Switched-On Schoolhouse 8th Grade History & Geography is an exciting, computer-based U.S. History course! Enriched with multimedia tools, this comprehensive Alpha Omega curriculum gives a complete overview of American History. Interesting, in-depth topics included are the Revolutionary War, the Civil War, the Industrial Revolution, and more. Includes quizzes and tests. Switched-On Schoolhouse 8th Grade Language Arts is a fun and exciting computer-based Alpha Omega curriculum that uses multimedia tools to enrich student learning. Interesting topics covered in this language course include punctuation, literature, word usage, reading skills, listening, spelling, and much more. Writing projects,quizzes, and tests are also included. Switched-On Schoolhouse 8th Grade Science is a fun-filled, computer-based Alpha Omega curriculum designed with interactive multimedia tools. This engaging, one-year science course offers a comprehensive overview study of physical science. Additional topics included are studies on matter, nutrition, energy, machines, and science using technology. Includes quizzes and tests. Discover God's amazing world with your homeschool teen with the computer-based Switched-On Schoolhouse Earth Science! This ten-unit elective includes quizzes and tests and comes with multimedia-enriched lessons about Earth's formation, structure, interacting systems, and its place within the universe. 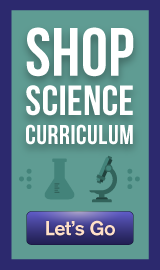 Made with video clips and games, this Alpha Omega curriculum for grades 8-12 covers topics like rocks, weather, water cycles, the atmosphere, and the solar system! Polish your homeschooler's basic math skills with Switched-On Schoolhouse Essentials of Math for grades 8-12! A great refresher, this computer-based, seven-unit elective includes fun learning games and multimedia, as well as tests and quizzes that are perfect for reinforcing fundamental mathematic concepts. Suitable for remedial work or advanced learners, this Alpha Omega curriculum reviews topics like algebra, geometry, statistics, measurements, and more. Travel around the globe with your homeschooler with Switched-On Schoolhouse World Geography! Great as a core history course for 9th grade or as an elective, this computer-based, 12-unit Alpha Omega curriculum for grades 8-12 offers an in-depth study of the world's seven continents, along with a look at geography tools and physical geography. The course includes tests and quizzes, as well as projects and media-rich lessons that cover each region's settlement, culture, politics, economics, and environment. Switched-On Schoolhouse 9th Grade Language Arts is a colorful, computer-based course made with interactive multimedia tools. Valuable topics offered in this one-year Alpha Omega curriculum include language structure, literature language, comprehensive reading, communication, and a study of a novel. Essays and a library project are also included. Includes quizzes and tests. Switched-On Schoolhouse 9th Grade Math will teach your child basic algebra principles in an interactive, computer-based format. This easy-to-follow, one-year Alpha Omega curriculum will give your child an in-depth look at variables, integers, equations, factors, radical expressions, and more. Functions and graphing techniques are also included. Includes quizzes and tests. Make French your child's favorite world language with the interactive Switched-On Schoolhouse French I! This 12-unit homeschool elective for grades 9-12 studies the culture and country of France, as well as word pronunciations, beginning sentence structure, and fundamental French vocabulary for situational conversations. Quizzes and tests also are included for easy assessment. Develop your child's world language skills with Switched-On Schoolhouse Spanish I! This 12-unit elective for grades 9-12 builds knowledge of basic Spanish with a study of Spanish words, sentence structure, the Hispanic culture, and more. Quizzes and tests also are included in this Alpha Omega curriculum for easy assessment. Is your student ready to do his personal finances? 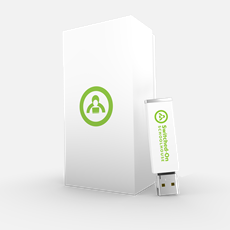 Get Switched-On Schoolhouse Consumer Math for grades 9-12, and he will! Informative topics included in this one-year Alpha Omega curriculum are money management skills, avoiding financial problems, examining loans and credit cards, and practicing wise purchase habits. Pre-requisite is Algebra I. Includes quizzes and tests. Prepare your soon-to-be graduate for practical Christian living with the engaging Switched-On Schoolhouse Foundations for Living, Studies in the Christian Worldview ! This multimedia-rich, ten-unit elective for grades 9-12 deepens your child's understanding of Bible doctrine and shows how biblical truths relate to everyday life. This Alpha Omega curriculum covers areas like family, engagement, marriage, education, art, parenting, politics, and more. Quizzes and tests also are included for easy assessment. Want to give your student a better understanding of American government? Get Switched-On Schoolhouse Civics for grades 7-12. This interesting, computer-based Alpha Omega curriculum is made for one semester and covers topics such as American government, state and local government, worldwide politics, and citizenship responsibility. Includes quizzes and tests. Want to brush up your student's knowledge of American war history? Then, Switched-On Schoolhouse Civil War for grades 9-12 is just what you need! Bringing history to life, this interactive, computer-based Alpha Omega curriculum covers in-depth topics like the pre-war years, the division between the North and South, the South's secession, major war figures, pivotal battles, and the Reconstruction Era. Includes quizzes and tests. Give your homeschool student a deeper look at America with Switched-On Schoolhouse Twentieth Century American History! For grades 9-12, this multimedia-enriched, computer-based Alpha Omega curriculum examines America's century of change, conflict, and growth. The course covers nation-shaping events like the Industrial Age, the Roaring '20s, the Great Depression, the two World Wars, and the cold war conflicts. This six-unit elective also includes quizzes and tests, as well as hands-on history projects and lessons that make learning fun and interactive! Want to get your teen ready for college math? Then, you need Switched-On Schoolhouse Trigonometry for grades 9-12! As a great prep course for advanced math courses, this one-semester, computer-based Alpha Omega curriculum covers topics like right angle trigonometry, trigonometric identities, graphing, the laws of sines and cosines, and polar coordinates. Pre-requisite is Algebra II. Includes quizzes and tests. Order today! Help your student understand America's past with the computer-based Switched-On Schoolhouse Vietnam Era for grades 9-12! This in-depth, one-semester elective takes a closer look at the long conflict of the Vietnam War by covering topics such as the Vietnamese country and people, the United States' involvement, the Cold War factor, and the war's consequences and aftermath. This Alpha Omega curriculum includes quizzes and tests. Order today! Discover the benefits of healthy living with Switched-On Schoolhouse Physical Fitness for grades 9-12! This practical, one-semester elective nurtures your child's body and mind with interactive lessons that cover the benefits of basic nutrition, physical fitness, and healthy lifestyles. This course also requires students to design personal fitness goals and complete exercises using a daily activity log. Quizzes and tests are included. Teach your student to take responsibility for his personal finances with this semester-long elective for grades 9-12. Packed with interactive lessons that make learning fun, this Alpha Omega curriculum covers today's money topics, such as finding and evaluating financial information, managing a checking account and online banking, and investment planning, along with exploring different career paths. Quizzes, tests, and hands-on learning projects are included. Enhance your child s resume for employment and college with this dynamic elective, which teaches students in grades 9-12 how to design, develop, create, edit, and share business spreadsheets and database documents. Lesson topics include data entry, formatting, formulas, functions, charts, and more using Microsoft Office 2010 Access and Excel . Instill software skills needed in the workplace or college with this one-semester elective that teaches students how to use Microsoft Office 2010 Word , PowerPoint , and Publisher . This elective for grades 9-12 uses interactive lessons and multimedia to cover designing, editing and sharing business documents. Fundamentals of Computer Systems is designed to help students develop knowledge and problem-solving skills in the area of operating systems, computer hardware and computer software. Students will learn the basics of computer hardware and become familiar with the major operating systems, including techniques in installation, configuration and customization. Students will also learn about the Internet, Internet security issues, connectivity, and virus protection techniques. The course will also familiarize students with major software applications including Microsoft Office , Java and the Adobe . Backup procedures and recovery of computer systems will also be covered in detail. Emphasis will be placed on help desk support protocols, communication and the importance of customer service. This course introduces students to the variety of careers related to digital and online media. Students will gather and analyze interactive media customer requirements, define the scope of digital media work in written form and demonstrate knowledge of how to manage information system project methodologies. Students will create interactive media product specifications and create a final project plan detailing time and activities required to achieve objectives. Emphasis will be placed on effective use of tools for interactive media production including storyboarding, development, project management and Web processes. Legal and ethical issues will be discussed. This course introduces students to the variety of careers related to programming and software development, specifically Java. Students will gather and analyze customer software needs and requirements, learn core principles of programming, develop software specifications and use appropriate reference tools to evaluate new and emerging software. Students will produce IT?based strategies and a project plan to solve specific problems, and define and analyze system and software requirements. This course introduces the student to the knowledge base and technical skills across the spectrum of careers in the Information Technology Career Cluster; learners will study and demonstrate knowledge of the functions of information systems in our world today. Students will demonstrate appropriate knowledge and behaviors of legal and ethical responsibilities by IT professionals. Students will explore a variety of IT career opportunities and develop a personal career plan to meet their career goals and objectives. This may be taught as a career exploration course in conjunction with other foundation Career Cluster courses. This course introduces the student to the fundamental concepts of computer networking systems. Students are introduced to the Open System Interconnection (OSI) and the Transmission Control Protocol/Internet Protocol (TCP/IP) networking models along with Local Area Networks (LAN) and Wide Area Networks (WAN). Also addressed are Ethernet switching specifications, IP routing, IP addressing and IP subnetting. In addition to learning about network devices, physical media, network operating systems, and network security, Students will examine industry standards and the development of networking technologies in conjunction with a basic awareness of software and hardware components used in typical networking and internetworking environments. Students will apply knowledge of hardware and software components associated with information systems while exploring a variety of careers related to information support and services. Emphasis will be placed on maintaining a safe working environment, developing critical assessment and analysis skills, and building interpersonal skills needed for working in the IT environment. Students will analyze technical support needs to perform customer service, perform configuration management activities, evaluate application software packages and emerging software. Students will demonstrate and apply knowledge of information system analysis and design by initiating a system project and evaluating applications within the information system. Students will demonstrate and apply knowledge of Web programming and hosting. In addition, students will learn the basics of developing videogames and mobile applications and will create a simple example demonstrating animation, interactivity, and/or other multimedia elements. Emphasis will be placed on Internet programming basics, basic Web programming and Web hosting. Students will identify strategies for keeping up?to?date with new and emerging trends related to Internet programming and demonstrate knowledge of how to use advanced communication protocols. This course introduces the student to the basics of network design. Students will learn to identify and/or derive network requirements from the system and learn the high-level design principles of network architecture and network topologies. Students will learn about LAN and WAN network classifications as well as the physical design aspects such as transmission media and Ethernet technologies. This course covers guidelines for assigning addresses to network components, subnets, routers, servers and end-user computing systems. Also included are discussions of switching and routing protocols and network management and network security strategies. Students will demonstrate the effective use of tools for software development. Course content will include software development environments, prototyping techniques, and language specific tools/techniques. Course content includes software testing procedures, test plan development, testing and validation, test results documentation, software testing, audit trails and project management. Students will demonstrate knowledge of software quality assurance processes to ensure quality software products. Students will design a software application by creating design specifications, making design choices, applying the principles of effective information management, information organization, and information?retrieval skills, as well as knowledge of computing/networking hardware and software architecture. Physical Education is a semester-long elective designed for high school students. The course focuses on performance of individual and team sports, with explanations of proper technique, rules of the game, and preparation. Team sports introduced include soccer, basketball, football, baseball, and volleyball. An introduction to fitness, strength, endurance, and nutrition is also included. Students will have the opportunity to perform each sport on their own time, while keeping a log of activity. The goal is incorporation of activity into their daily lives and the gain of lifelong healthy fitness habits. Throughout the course, students may be asked to answer questions or to reflect on what they ve read in their notes. The notes are not graded. Rather, they are a way for students to extend their thinking about the lesson content. Students may keep handwritten or typed notes. 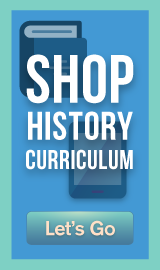 Give your child a fun-filled world history course with Switched-On Schoolhouse 10th Grade World History! This multimedia-enriched, computer-based Alpha Omega curriculum includes interesting topics such as ancient Egypt and Greece, the medieval world, world empires, revolutions and war, and much more! Essay projects are included. Includes quizzes and tests. Switched-On Schoolhouse 10th Grade English II is a fun-filled grammar course taught in an innovative, computer-based format. Valuable topics include writing effective sentences, developing reading skills, and language structure. Additional topics in this one-year Alpha Omega curriculum are the short story, the novel, drama, and poetry. Includes quizzes and tests. Switched-On Schoolhouse 10th Grade Geometry is a comprehensive geometry course taught in an exciting, computer-based format. This engaging, one-year math Alpha Omega curriculum offers a subject-focused study of geometry, including topics on logic, angles, parallels, shapes, volume, area, and more. Easy-to-teach lessons include fun multimedia tools. Includes quizzes and tests. Give your child an in-depth study of biology with Switched-On Schoolhouse 10th Grade Biology! This fun-filled, computer-based course contains interesting topics such as taxonomy, microbiology, cells, human anatomy, and genetics. Complete with experiments, this one-year Alpha Omega curriculum also has interactive, multimedia-enriched lessons. Includes quizzes and tests. Discover America's past with Switched-On Schoolhouse 11th Grade American History! This computer-based Alpha Omega curriculum offers an in-depth 10-unit review of U.S. History with topics like the American Republic, the Civil and Revolutionary Wars, the Industrial Revolution, the World Wars, and more. Essay projects are included. Includes quizzes and tests. Read great American Literature with Switched-On Schoolhouse 11th Grade English III! This fun, computer-based Alpha Omega curriculum covers enriching topics such as poetry, nonfiction, American drama, the American novel, and developing research skills. Included in this one-year, 10-unit literature course are writing and reading exercises. Includes quizzes and tests. Switched-On Schoolhouse 11th Grade Algebra II is an advanced algebra course taught in a fun-filled, computer-based format. Step-by-step lessons explain topics like functions, linear equations, algebraic fractions, quadratic relations, exponential functions, and more. This one-year, 10-unit Alpha Omega curriculum course has multimedia tools in each lesson. Includes quizzes and tests. Switched-On Schoolhouse 11th Grade Chemistry is an engaging, computer-based chemistry course. Multimedia-enriched lessons include topics such as elements, mixtures, compounds, atomic structure, chemical reactions, carbon chemistry, and more. This one-year Alpha Omega curriculum course includes easy-to-follow experiments to aid student comprehension. Includes quizzes and tests. Switched-On Schoolhouse 12th Grade Government & Economics is an interesting government course taught in a cutting-edge, computer-based format. Engaging lessons in this Alpha Omega curriculum offer valuable topics such as international governments, the history of government, the Christian and government, finance, and more. Fun history projects are also included. Includes quizzes and tests. Switched-On Schoolhouse 12th Grade Language Arts is an enriching, computer-based British Literature course. This one-year, 10-unit course covers topics such as Medieval Literature, language structure, Elizabethan Literature, Romantic Poetry, and creative writing. Multimedia-enriched lessons in this Alpha Omega curriculum include writing and essay projects. Includes quizzes and tests. Switched-On Schoolhouse 12th Grade Math is an innovative, computer-based course which covers trigonometry and advanced math. Easy-to-follow lessons in this Alpha Omega curriculum clearly explain pre-calculus topics including functions, graphs, identities, trigonometric functions, polar coordinates, and quadratic equations. Fun multimedia tools are also included. Includes quizzes and tests.